The November meeting of Labour’s NEC is usually an ‘away day’ and an opportunity for reflection on how the NEC operates, its terms of reference and objectives. Although there were some changes for the better last year, constituency representatives were keen to make further progress and ensure the NEC is democratic and transparent. Unfortunately, just as with the party’s democracy review, we were disappointed by the speed and breadth of changes. But in the middle of the government’s latest Brexit kerfuffle (which led us to meet at the party’s HQ), there was also a desire to unite around the leadership on Brexit. Particularly in the face of a possible general election. As always now, following a series of leaks from meetings, we handed in our mobile phones and all other computer devices at the start of the meeting. Jennie Formby talked about the hard work of party staff and about new staff in senior positions preparing for a possible snap election. She spoke of new fundraising efforts, especially the encouragement of more smaller donors and more ethical giving, and working to retain and recruit new members. Jennie also talked about a planned work programme to address outstanding issues on the democracy review, and changes to the Governance and Legal Unit, including the shift in investigations from regional offices to new staff at headquarters. This frees up regional organisers, who can then focus on campaigning, which we especially welcomed. Jeremy Corbyn’s report started with the UN report on Poverty in Britain by Prof Philip Alston, which exposed the government’s responsibility for increasing extreme poverty, hunger and homelessness. It also extensively covered the government’s current Brexit position, which far from “taking back control” provided even less control. Jeremy went on to discuss the desperate humanitarian crisis and cholera epidemic in Yemen and the need for the cessation of arms supplies to Saudi Arabia, plus the disastrous constitutional coup against the Brazilian Workers Party and the need for urgent solidarity work with them. On a more upbeat note, he welcomed the impending inauguration of AMLO in Mexico, whose radical social policies are a fitting response to Trump’s wall. In the debate about the way the NEC operates, we first discussed the policy process in the context of a paper from Rachel Garnham. This was written in light of the fact a proposal to simply abolish the National Policy Forum was rejected by the NEC before conference. It was universally felt to be the wrong response to the extensive consultation amongst the party’s affiliates and 600,000 members last year: apart from opening conference to motions without unnecessary restrictions and limitations, there has been a lack of progress on democratising the party’s policy process. This paper proposed bringing the Joint Policy Committee fully under the auspices of the NEC in order to improve accountability and transparency. This was seen only as an interim measure prior to a full review later on. Jennie Formby argued that we should await the full review, which was not planned until November 2019 when it was proposed to bring proposals to the NEC. We pointed out that this would mean that changes could not be introduced until after party conference in 2020 – two years away. Unfortunately, the vote on the principle of greater accountability and transparency to the NEC was lost by 20 votes to 11, despite the support of two trade union as well as all CLP representatives. The topics for debate by policy commissions in 2019 that had not been discussed by either the commissions themselves or the JPC were agreed on the basis of a statement that this would not prevent the commissions also producing other statements. The 55 newly elected CLP representatives on the NPF (who will soon be allocated to the commissions they will serve upon which start meeting in January) will have to be vigilant to ensure this can happen. Delegated powers: We proposed requiring the NEC to approve a scheme of delegation proposed by the general secretary setting out which NEC powers are delegated and to whom, how much discretion they have, to whom they report their decisions and how NEC members can get more information about them. We are delighted that this was carried with 17 voting in favour, 12 against. January: Young Labour governance and structures, regional conferences and executives, and standing orders for national conference. 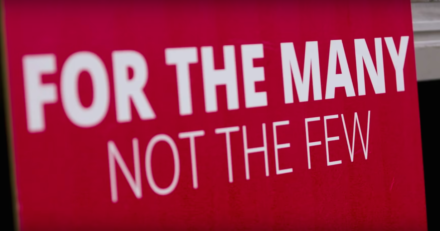 March: CLP issues including governance and equalities, NEC elections. May: BAME and disability structures, membership, branches and elections, review of membership fees, CLP special measures (although good progress has been made with the lifting of special measures in Tower Hamlets and Slough, leaving only two CLPs left in special measures). July: Local government review, charter of members’ rights, review of disciplinary procedures (initiated based on a CLP resolution). The NEC also decided last week to centralise the handling of complaints on sexual and other forms of harassment, as well as those involving misogyny, intimidation or bullying, hostility or prejudice based on race or religion. CLPs will no longer be able to refer such cases to the NCC directly. New guidelines were agreed on CLPs switching between all-member meetings and delegate structures (by a special all-member meeting convened when a party unit or affiliate requests it but not then again for at least 12 months), on job shares for CLP offices, and on waivers of normal requirements for standing for office in exceptional circumstances. Finally, the conference timetable was agreed for motions, rule changes and delegates. Since motions are no longer required to be “contemporary”, which forced CLPs to meet ridiculous criteria that were in reality designed to keep policy making within the control of previous leaders, the NEC decided that motions could be submitted from January onwards alongside rule changes and delegates, though they still need to be submitted until mid-September as before. We received a number of presentations on the work of various departments. Rachel McCaffrey explained the party’s new fundraising approach, based on extensive research amongst donors, focussing on committed repeat donors related to specific campaigns such as to assist community organising, local elections, support to help develop future BAME and women candidates. The “Rose network” would replace the Thousand Club that has historically focussed on wealthier donors. It is also intended to develop regional fundraising skills and capacity. Finn McGoldrick introduced us to her coordination of equalities work with women, BAME communities, young people, students and councillors. There were lots of concerns expressed about the under-representation of of BAME communities, the failure to select more BAME parliamentary candidates in marginal seats and how we are planning to rectify that, plus community engagement work in general. Dan Firth introduced us to the work of the community organising team. 29 staff have so far been recruited out of 40 planned, and it is the most diverse team amongst party staff (50% BAME). They are now engaged in building neighbourhood teams in key marginals, training thousands of activists, preparing to win seats never won before and to re-gain “held-back” seats where Labour had lost trust. Andrew Fisher, director of policy and principal author of the 2017 manifesto, talked about the policy process. He highlighted the extra opportunities for women to contribute through the women’s conference, and CLPs and affiliates through the discussion of motions on 20 topics at annual conference instead of “contemporary” motions on no more than 8. But there was further discussion about the importance of developing an improved process through which elected representatives on the NPF could be directly involved in discussing and, where necessary, challenging or supplementing shadow cabinet proposals. This is a collective report on behalf of all NEC CLP representatives- Yasmine Dar, Huda Elmi, Rachel Garnham, Ann Henderson, Jon Lansman, Navendu Mishra, Claudia Webbe, Darren Williams and Peter Willsman.